Any Obama supporters remember the "most open and transparent in history" pledge? Feel used and lied to yet? Isn't it curious that all of a sudden, as Holder is on the brink of contempt charges, President Obama feels the urge to assert privilege on these documents? Thinking abou this further, the President can only claim executive privilege for matters that the President is directly involved in. So this seems to be an admission that President Obama did, in fact, have direct knowledge of F&F. 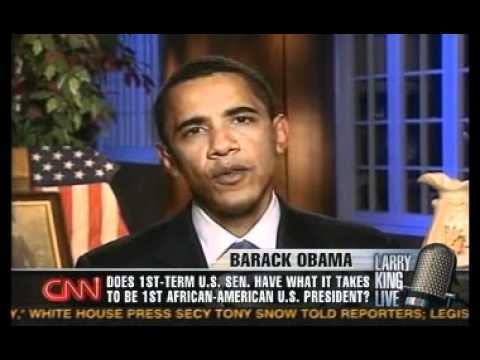 Which would mean President Obama was lying to the public when he claimed he had no direct knowdlege. And idiot liberals will give him a pass. To idiot liberals, lies from the President are fine if that President also happens to be an idiot liberal, which is clearly the case here. Let's watch the idiots defend him. They are hoping the lack of media coverage will just let the matter die from want of attention. Just more of the soap opera antics. From both sides. I can see non stop Fox news coverage today, as I watch it as I write. Kraut Hammer is on now, or as I call him, Deputy Dog. He reminds me of my fav cartoon character. Or was that Goofy? I get em confused. I'm listening to the CSPAN feed and it's really remarkable how every one of the Democrats are treating this as a campaign issue rather than as a serious criminal matter that resulted in the death of a border patrol agent and fueled a drug war on the border that resulted in hundreds of other deaths. The idea that the White House would claim executive privilege to aid in a cover up of such a horrible lapse of judgement on behalf of an agency for which they are responsible is disgusting. Anyone remember when Obama was opposed to the Bush administration trying to "hide behind executive privilege"? Just another slimy, hypocritical, douchebag politician. So, Obama supporters, feeling used and lied to yet? That's because their intentions were right, regardless of the actual, you know, consequences. It's interesting. I was reading a thread on this from a very, very liberal site and even there they have a significant number of posters who are quite put off by Holder, F&F and, as it happens, the assertion of executive privilege. Yea? I doubt that will be reflected by the MSM. The Fast And Furious program was started under Bush and continued under Obama. This appears to be nothing more than an election season Witch Hunt. Bush invoked Exec Privilege on 6 Occasions----some for pretty weak reasons. ps: My advise to Mr. Issa is that Mick Jagger was right "You can't always get what you want!" When all else fails, attack the messenger. Good job! 3) the "you too" defense. Did anyone really expect Holder to come clean? I certainly didn't. actaully fast and furious was not started by the bush admin. also the documents taht holder gave have not been the ones that congress asked for. it wold be like asking for the warrenty on a car and given the warrenty for a dishwasher. yes they gave you a warrenty but not one that you asked for. The administration committed a crime that directly resulted in the death of a U.S. citizen.